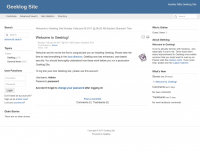 This is the first beta release of Geeklog v2.2.0. Please try it out on a non-production website and give us your feedback. For more information on the new features and bug fixes in this version please read the history text file found in the docs directory. 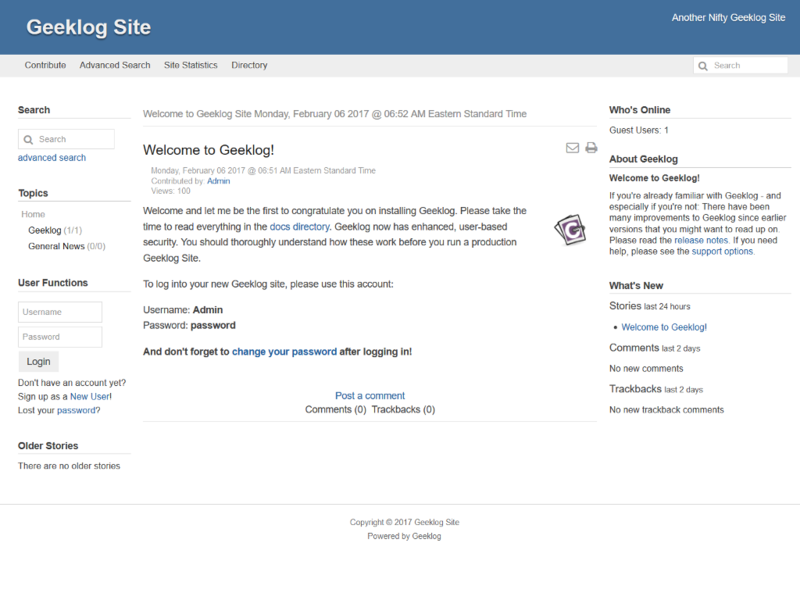 For live sites the recommended Geeklog version is v2.1.3. Note: Make sure your 3rd party Geeklog plugins are updated to the latest version as they are required to use the function COM_createHTMLDocument. This replaces the functions COM_siteHeader and COM_siteFooter. If you are unsure if a plugin supports Geeklog v2.2.0 then either disable it during the install or uninstall it. If you find any bugs in this release, please report them here.